If you are a sport devotee especially football, obviously this will be a really great news for you 2019 going to be the year of the World Champions, yeah, its the football year and France is the Champion of the 2019. Football World Cup is an extensive event in the world held once after 4 year. Playing Sports is an healthy activity, but apart from playing games, watching the sports is itself a source of happiness and enjoyment. Football Cup has gone, but there are plenty of football leagues for football fans to watch live, so, here we find some of the apps which will allow you to watch live your favorite football match on your smartphone. Soccer is the most celebrated sports among all the generations as everyone has great passion for it. A great amount of the people in the world desperately want to watch the football matches even in their busy schedule. There are two types of match fans, the most desperate fans get the match tickets and watch the match live form the stadium while others watch their game on TV and also on their smartphone through live streaming. Here we come up with the best football stream apps for the people who watch the football through stream on their smartphones. ESPN – the first live football streaming app in our list, the most appreciable app to stream football match for free. ESPN is the biggest world wide sports broadcasting network, broadcast the live matches of different sports on their TV channels and football is one of then. The free football streaming app not only allow to the watch live football matches but also keep you update about every thing about the matches, the best player of the match, best shots and the moments of the match. You just have to singup in the app the and it will give you latest updates alerts about your favorite football team and football league right on your smartphone. This app not only allow you to watch the live football streaming but also the other games such as, Live Cricket, Hockey, NBA, NFL, Tennis, Golf, and others, you can say its a full package of sports for sports devotee. Even the African fan can also take advantage of this app, ESPN keep you up to date about story line plus highlights of sports form all around the world, including MLB, NBA, NFL, College Football and more games. Mobdro is an incredible app that allow you to watch plenty of sports channels through live stream, you can access your favorite football channel and enjoy match. The Mobdro sports is one of its popular category that contains world’s all famous sports channels, you can watch them for free on your smartphone. This live tv steaming app not only allow you to watch live TV but also you enable users to easily search for favorite videos over web. The Mobdro app not only come up with sports channels but also entertainment channels, channels are categorized in different categories such as News, Music, Shows, Tech, Animals, Gaming and some others. The best thing about the app is, you don’t need any paid subscription to watch the live TV and shows. One of the best football streaming app not only allow you to watch the live stream sports but also different entertainment channels. The isn’t available over play store but you can you download Mobdro APK from our site, the link is given below. The free version come up with ads, in order to remove ads you’ve to buy its premium version. The app require Android 4.2+ version to work on android devices. Here is another app for soccer lovers, the app isn’t really streaming app but the way they update you about the match looks you are watching it. The app lies at top in the Google Play App list because of its functionality and user friendliness. You can enjoy the live coverage and the app provide you the fastest update of the match. The provide you the latest news, videos, highlights and interviews of the match. You can watch every single goal right after 5 minutes when it played on the ground. The app also allow you to customize the notification, to choose what team and league you want to follow, then the app send you the notification about your team, favorite player or whatever you set to receive notification. Apart from football you can also watch baseball, tennis, basketball, ice hockey, volleyball and all the other game on this app. The stream app fully developed for football fans, contains all the stuff related to football, football guide, match schedule for official broadcasting. 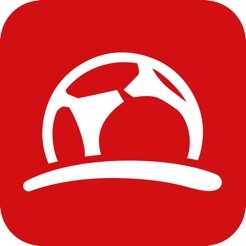 Fully featured football app mapped all football leagues, tournaments, cups, and World Cup. The Live Soccer TV app is the mobile version of the LiveSoccerTV.com, provide official multi-platform broadcasts listings for all available platforms such as Live TV, Radio and mobile app. Moreover, the stream app keep you up-to-date about each and every thing related to football such as live score, match stats, live commentary, and also sends you notifications for you favorite team. The best feature is that the match schedule integrates with your mobile’s calendar, and notify you about every event. Great streaming app to enjoy live match both in audio and video. The app doesn’t provide any illegal or pirated stream link, contains all the official football streaming links. Next stream app is our list is actually a smart TV in you Android device, allow you to watch any football channel through live streaming. The stream app come up with all the sports options for example Live Score, Football Video highlights and daily sports news match previews and predictions. No matter what league is it UK, Europe, USA, the Europa League, Champions League, World Cup Champions, Asian League and others, the app allow you to access all of these on your mobile device. You just simply have to choose a game and the app provide you all the information about the game as well as players. Moreover, the app include the more than 70 TV channels, the more prominent are Sky Sports, Net Sports, SilkSports, Russian Sports, ESPN, Bein, Super Sports. The more interesting thing about the app is it gives you match preview and prediction and also betting tips. Our next stream app is also another one channel apps, contains 60+ English and Spanish channels. The app is quite different from our above streaming apps in the list, it requires paid subscription. The app come up with plenty of football channel, you can enjoy your favorite football play without any trouble. If you want to get rid of your cable operator then this is one of the best option for you. You just have to pay only $50 for a year and enjoy TV channels without any trouble, you can also pay on monthly basis. YipTv is one of the best paid stream app option to watch football match through live streaming in HD video quality. Live Football and TV app – another streaming TV app come up with plenty of TV channels including sports channel. You just have to choose a football channel, thats it! enjoy your football match on your cellphone through live stream. The app contains 100 plus TV channels that allow you to watch any football league, FIFA World Cup , Ghana Premier League and others, the stream app will also broadcast the FIFA World Cup Russia across Africa. Also Check Here clash of light coc server, enjoy unlimited resources, and play your game without any fear losing game. You can not only enjoy football on this app but also movies, TV shows, news, music and a lot of other stuff. The app supports different language English, Kiswahili, French, Hausa and others. Set the notification in order to keep alert about your favorite play. Onefootball Live Soccer Scores is an interesting, full featured, and World Cup pro app, that allow you to track your favorite team match, keep you up-to-date with soccer stats , latest news, interviews, and much more stuff related to football. The app contains 200+ major leagues and competitions and covered live scores and everything happens in the football ground. The best thing about the app is you can customize the app according to your needs. The football streaming app also allow you to watch the match highlights and latest news updates about the match. Moreover, the app includes football Schedule, results of previous match and point table, live commentary, football video, and prediction about the match. What the other thing you want from a football app. UKTVNOW app not only allow you to watch live TV channels but also download the video to watch later on. So, with the help of this app you can watch the live football no matter wherever you are in the world, you just only have a good internet connection to enjoy live football streaming. The is really user friendly, simple and easy to use, with just a single tap of your finger you are on your favorite sports channel. The app does not only include sports channels, it contains all the famous channels from you location. Moreover, you can check football schedules or fixtures, bookmark you favorite channel and cast screen on chrome cast. The best thing UKTVNOW is totally free to avail, but unfortunately the Google App Store does not host it, but do not you worry, you can download UKTVNOW apk from following links. Here above we share some best football streaming apps with you to enjoy your favorite football match. So, choose your favorite streaming app form the list and enjoy whole FIFA World Cup or your favorite football league. You can have these streaming apps both on Android and iOS, the download link available bottom of the each app.